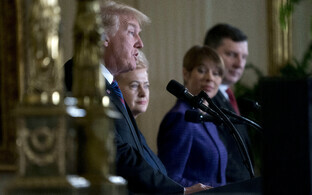 The U.S. considers the Baltics tremendous partners and models for many of its other allies, U.S. 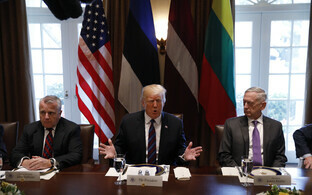 Ambassador to Estonia James D. Melville told reporters ahead of Tuesday's scheduled meeting of the Presidents of Estonia, Latvia and Lithuania with U.S. President Donald Trump in Washington. "We consider the Baltics to be tremendous allies and partners, and models for many of our other allies in how to seriously assess what can be done in your own security interests and making the decisions necessary to back that up with resources and national priorities," Melville said ahead of the meeting. "In that regard, Estonia, Latvia and Lithuania are tremendous alliance leaders. I would imagine that that's the part of the message that we want to stress and hopefully will resonate." According to the ambassador, the U.S. will have the opportunity via Trump to congratulate the three Baltic heads of state on their countries' respective centennials. "Which is a very important achievement not just for you, but also for us, because the independence, sovereignty and security of the three Baltic republics was a very long-term goal of the U.S. during the period of Soviet occupation," he noted. "For us, it's been a tremendous achievement to see all three countries become what we always knew they could be, which is models of economic prosperity, liberty and democracy and great allies for the U.S. and our other European allies," Melville continued. "One of the things the U.S. appreciates about the three Baltic allies is the fact of your commitment to your defense and the famous two-percent Wales pledge — it is longstanding and significant and also presents a good example and a model for a lot of our allies, including some of our really large allies," he said, describing it as relatively certain that President Trump will mention how much he appreciates the fact that the three Baltic countries are all above two percent of GDP spending on defense and have made the commitment to continue to carry their share of the burden of defending NATO. "I particularly appreciate what I sometimes hear from my Estonian friends — that the two percent is seen as a floor, not a ceiling," Melville said, noting that this attitude is music for any American security specialist's ears, as this money should be spent by each ally according to its own priorities. "So, whenever we speak as allies, the fact that all four of us carry our share of the burden or more than our share of the burden is a good reminder to everybody else that they need to pull up their socks and work a little bit harder to achieve that same level of commitment in facing the security challenges that we all face together as allies," he added. He was not so sure, however, that the four heads of state would likewise discuss possible air defense deployments to the Baltics. 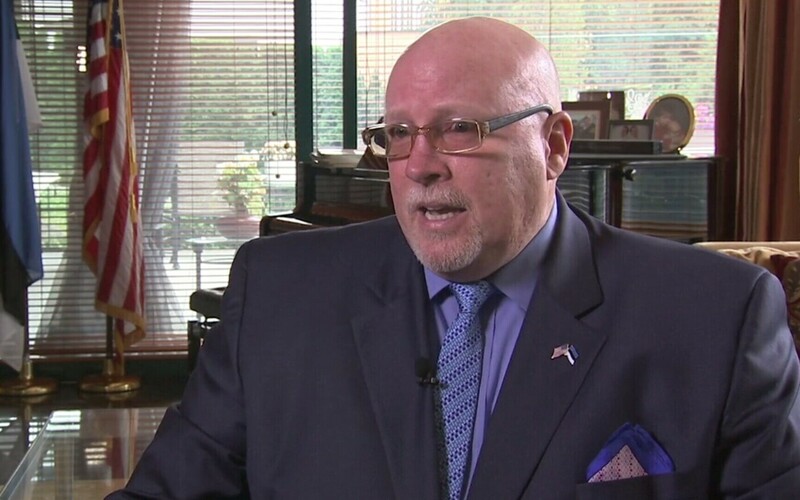 "I can't predict exactly where the conversation will go, but that certainly sounds more likely the kind of thing that we would address in the NATO context, since it is a NATO issue," Melville said. 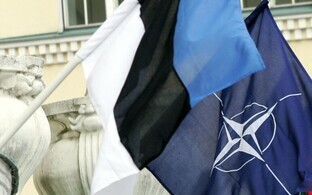 Commenting on the proposal made on March 28 by retired Lt. Gen. Ben Hodges, former commander of U.S. Army Europe, that the U.S. should send its rotational forces back to the Baltics, the ambassador said that he was fairly confident that this is something that the three Baltic leaders will bring up on Tuesday. 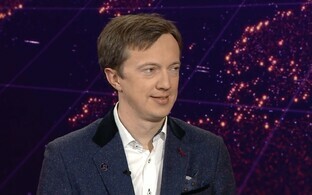 "So it would surprise me very much if that isn't part of the discussion, because it seems that every occasion that we get together, Estonia, Latvia and Lithuania make the point that during the period from 2014-2017, when we had a company of soldiers to each of the Baltic states, it was much appreciated and they felt that the American presence was important in deterrence," he said. Since NATO's enhanced Forward Presence (eFP) battalions arrived in the Baltics and Poland, however, the nature of said deterrence was much stronger, he added. "We all feel like a battalion of NATO troops is a much more substantial presence than a company of American soldiers," Melville said. "Everybody agrees to that, that was a Warsaw decision and we all signed up to it and it's absolutely true, but there's this sense that American soldiers' presence is also of a certain character in terms of its deterrent value that they — the three Baltic countries — particularly value." In response to a question about rivalry and cooperation between the three Baltic countries, the ambassador noted that, in his experience, cooperation among the three countries has been excellent. 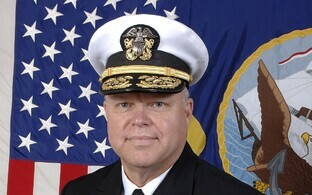 "Since I've been here, cooperation has been terrific," Melville described. "In the way that the three Baltic countries address the U.S. reflects the fact that there is a deep level of coordination and cooperation and collaboration that you all bring to these gatherings." He acknowledged that there were some natural differences, including in priorities, but in terms of the big issues, coordination, which is very important, has been excellent. 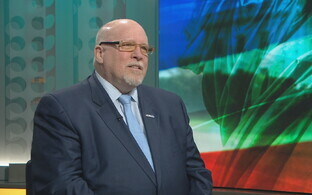 "We believe regional cooperation is the best way to face all the challenges we have," the ambassador added. "Again, you're a model." 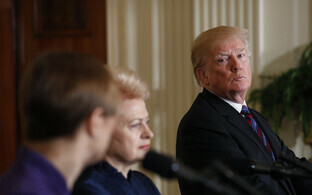 Estonian President Kersti Kaljulaid, Latvian President Raimonds Vējonis and Lithuanian President Dalia Grybauskaitė are to meet with Trump in Washington on Tuesday. The meeting will be attended also by U.S. Secretary of Defense James Mattis. The meeting and a joint luncheon to follow will focus primarily on security and economic cooperation, while energy and cultural cooperation will also be dealt with. A joint statement is to be adopted at the meeting. 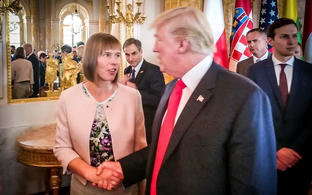 In addition to the meeting of the heads of state, Kaljulaid will also take part in a Baltic-U.S. business forum on Tuesday that will likewise be attended by U.S. Secretary of Commerce Wilbur Ross and executives from about a couple of hundred U.S. companies. A dinner for the Baltic heads of state will be hosted by National Security Adviser H. R. McMaster.